We are very proud to announce that we have been awarded the Gold Award for school games for the fourth year in a row. As well as an hour quality PE a week our children also get an hours quality games session per week. Through ensuring that we provide our children with two hours quality PE and games per week we are encouraging them to lead healthier, more active lifestyles. For those children who enjoy competitive sport we have a healthy year round competition calendar which we are consistently striving to improve. We have strong links with our local secondary school and through this have created a cluster of 12 local primary schools. This in itself provides our children with excellent sporting possibilities and allows them to play competitively. Keeping on the theme of encouraging all of our children to lead healthier, more active lifestyles we have also been using the 5 a day initiative where each class spends 5 minutes every day being 'active'. It is an online resource that the children follow in their own classrooms. Last year we also introduced the personal challenge: 100m sprint, where every child in the school set and recorded their own personal best times. Over the course of about 10 weeks the children tracked and monitored their own progress. This year we are going to continue with this challenge in the summer term and introduce a second personal challenge for the Autumn / Spring terms. The challenge for these terms will be linked to how long you can spin a hoola hoop. For the children who do not enjoy the traditional competitive sports we have introduced them to a variety of inclusive sports that they can take part in. By improving our PE provision and providing competitions for the children to enter we have increased the percentage of physically active children at our school. Change 4 Life Club takes place every Friday lunchtime run by an ActivSports coach. 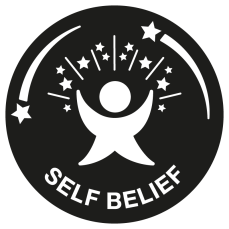 Furthermore, we have also attended several Sportsability festivals where the children have experienced a range of different activities specifically targeted at children on the SEND register. We also attended a New Age Kurling competition at level 1 and level 2 last year. The Boys Dance Project was one of our biggest achievements. Twenty Two boys took part in a dance project, along with other local Shropshire Primary Schools, led by professional choreographer Mark Anderson. The boys worked hard over seven sessions and then performed to a live audience at the Theatre Seven in Shrewsbury. The show was a huge success and the boys had a fantastic time learning many new and valuable skills. This fantastic opportunity to interest boys in dance was amazing and is something that we will definitely be involved in again next year. Another hugely successful event that we arranged was for the ActivSports coaches to run a sports morning where all the children in the school took part. The children competed in their house teams in a number of different events both competitive and inclusive to earn points for their house. This was a huge success and all the children thoroughly enjoyed it. In addition, we run the Robert Spiers Football Tournament for all age groups, both boys and girls participate in the tournament and the winners win the Robert Spiers Memorial Trophy. Furthermore, we run the Kevin Mann Memorial Race every year and children from across the year groups participate with the winning boy and girl from Year 6 having their names engraved on the trophy each year. Several professionals have been in school to run workshops with the children e.g. Sasha from Hoola Nation led workshops with each class to inspire children to start Hoola Hooping and to discover the different health benefits that it has. In addition, Danielle Brown visited the school to share her Paralympic and Olympic success story with the children. 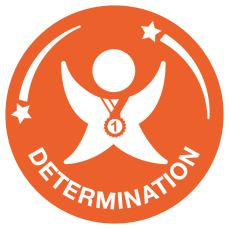 At Market Drayton Junior School, School Games is an important part of our curriculum and we have had five successful years so far in taking part in level 1, 2 and 3 competitions. Each year we continue to go from strength to strength and this year we are taking it one step further. The 'Spirit of the Games' values underpin the School Games Festival and are important to instil in the children to develop good sportsmanship in all areas of PE and Sport. 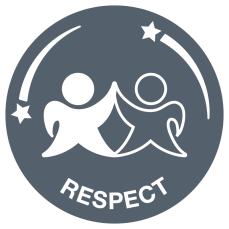 This year, we are recognising these values within our PE curriculum as well as during the competitions, and are giving the children the opportunity to be nominated for demonstrating these values. Nominations will then be considered by the sports committee and winners will receive a medal engraved with the 'Spirit of the Games' value. All nominations will also receive a certificate in recognition of their effort. We hope this will encourage the children to develop their sportsmanship skills even further. Treat everyone equally, support each other and work together to have fun and achieve. Celebrate each other’s’ success. Be a good friend and a positive team player in school, sport and life.